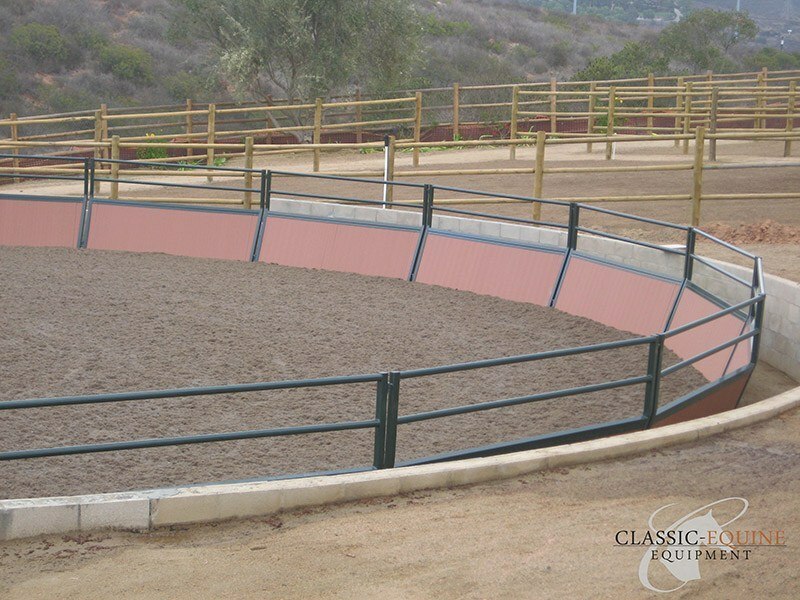 Classic Equine Equipment offers a variety of round pen and arena panels in standard and custom sizes. All panels are made to accept standard nominal size lumber or 1” imported hardwood. 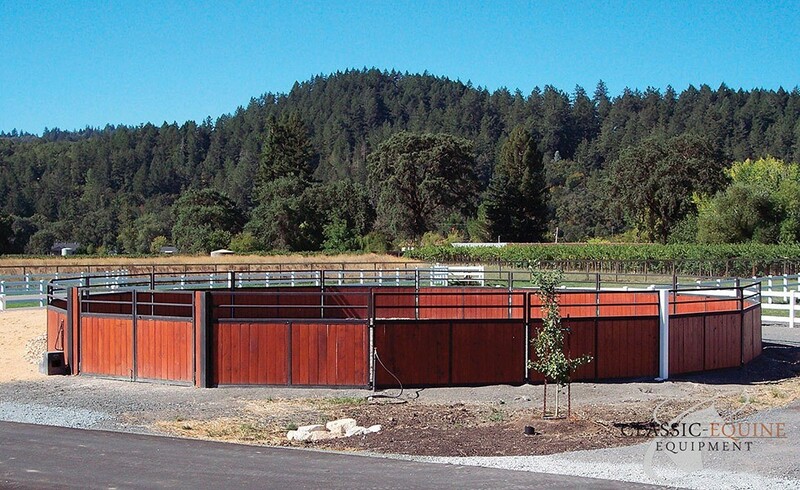 The most common round pen size is 60 feet in diameter, but yours could be anywhere from 40 to 120 feet in diameter. Arena sizes depend on what you need them for and can run from standard size;100 X 200 feet, to driving arena size;130 X 330 feet, to competition jumping size; 660 X 660 feet. 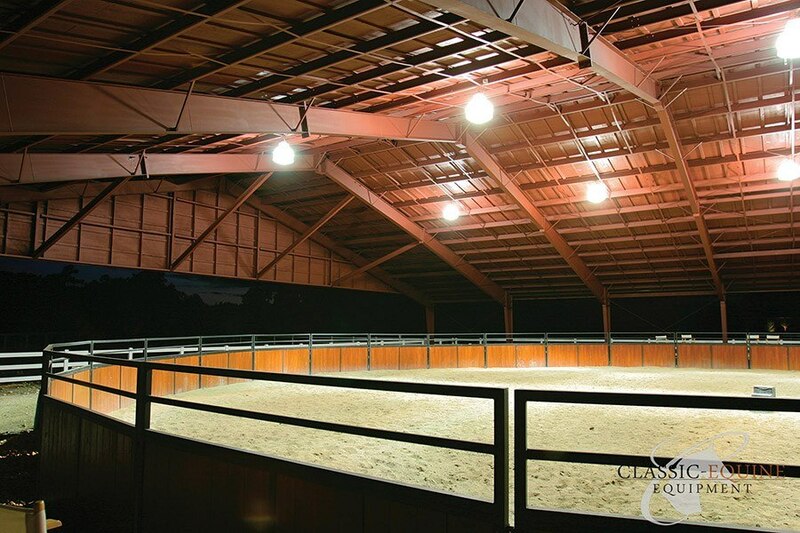 A round pen or arena may be one of the best investments you ever make for your horses. 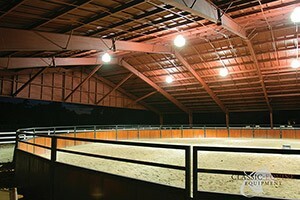 It can serve as a useful training space, a safe place to turn out young horses and provides a smaller space to work a horse from the ground as well as in the saddle. 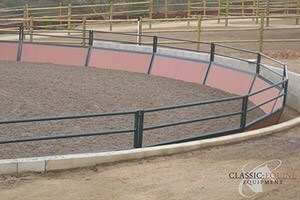 Classic Equine Equipment can create a round pen or arena to fit your needs and requirements. Contact us today for a free consultation and quote on covered pens, arenas, gates exercisers, or other Classic products. (800) 444-7430.